Welcome back for the fourth installment of this six part series of previews from the 2012 MLB season. Last time, I wrapped up the American League with a preview on the AL West. Today, we are jumping into the National League and previewing the NL East. The East had a lot of changes this offseason, including the remodeling of the then Florida Marlins, now Miami Marlins. The Miami Marlins are heading in the right direction to become a serious threat in the National League. It was a very busy offseason for them as they renovated its logo, name, jerseys, and its brand new stadium. They brought in new manager Ozzie Guillen. They signed 3 major free agents this offseason. The first was signing closer Heath Bell to a three year contract. Next was the signing of former Mets short stop and 2011 National League batting champion, Jose Reyes (below) to a six year deal. Finally, former White Sox hurler Mark Buehrle signed with Miami to a four year deal. Other moves by Miami included the trade that brought Carlos Zambrano over from the Chicago Cubs in exchange for Chris Volstad and cash. 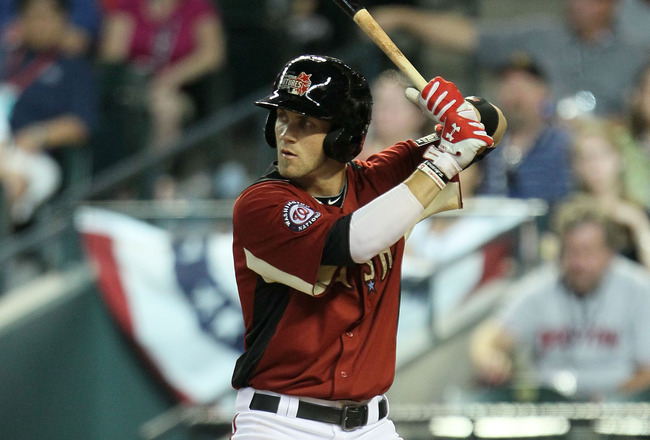 Other free agent signings consisted of third baseman Greg Dobbs, outfielder Austin Kearns and outfielder Aaron Rowand. The Marlins were in heavy talks with now Angel, Albert Pujols. Pujols was Miami's main target this offseason. The idea to bring Pujols in was important for two reasons. It would give Miami a for sure face of their franchise. And secondly, it would attract the heavily populated Latin community in the Miami area which would have put a lot more people in its new stadium's seats. But unfortunately, that didn't happen for them. Lets look at what Miami's line up should look like Opening Day. 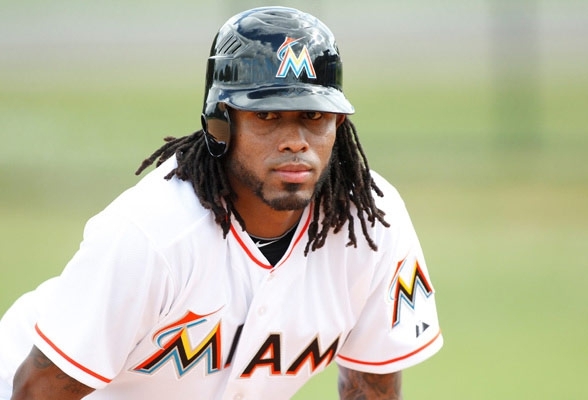 Final Thoughts: The main concern for the Marlins is the transition of Hanley Ramirez going from short stop to third base to make room for Jose Reyes. Hanley was coming off a very off 2011 season. The Marlins did add to there already good pitching rotation of Josh Johnson, Anibal Sanchez, and Ricky Nolasco with Buehrle and Zambrano. There bullpen has the potential to give them problems. Finally, with Jose Reyes leading off and Ramirez and Stanton batting third and fourth respectively, this team will be a run scoring machine. The Philadelphia Phillies are undoubtedly the best team in this division. They are going to win the NL East championship again this year. And, the race isn't going to be close. They are, in my book, the NL's New York Yankees. The Phillies had an awfully quiet offseason. 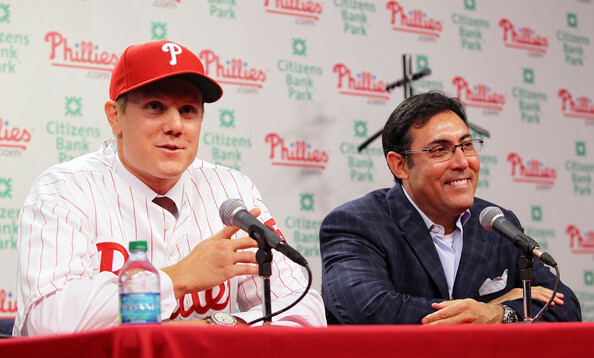 The Phillies made a big splash, though, by signing former Red Sox closer Jonathan Papelbon (below) to a four-year, $50 million deal to take over the closer duties. Ty Wigginton was brought in to be a back up first baseman and possible starting third baseman. Jonathon Papelbon is introduced to the Philadelphia media. The Phillies benefit more then any other team for one reason, their starting rotation. They have two Cy Young winners in Roy Halladay and Cliff Lee, a great lefty in Cole Hamels, and two very consistant four and five pitchers Joe Blanton and Vance Worley, who both could pass on other teams as their number two or three in the rotation. A year ago the Phillies were looking for the right number five hitter to replace departed free agent Jayson Werth. The challenge is a bigger one this year since former MVP and regular cleanup hitter Ryan Howard is coming off left Achilles surgery and is likely to miss the first month or two of the season. Ty Wigginton, John Mayberry Jr. and Laynce Nix all could see time at first base, and Hunter Pence is the odds-on favorite to move up into the fourth spot in the lineup. Chase Utley will be seeing a knee specialist and is doubtful to be ready by opening day. Final Thoughts: The biggest concern for this team is it's health. Knock on wood, this team has been pretty healthy. But, recently, with Ryan Howard's Achilles injury, Chase Utley's injury woes, and the ages of players like Placido Polanco, this team should be a little concerned this year about staying healthy. But, regardless, they have a great farm system that can help if need be at any position. Plus, their front office isn't afraid to make a move when it's needed. 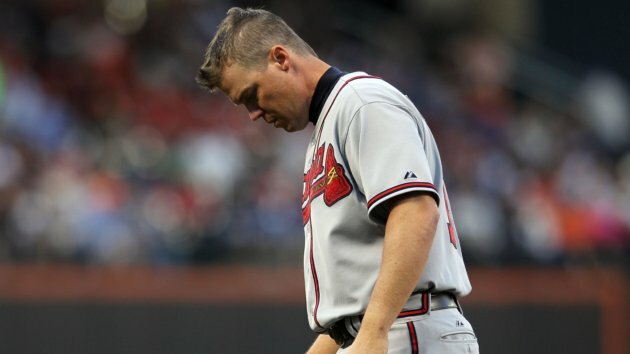 The Atlanta Braves are coming off a heartbreaking end from their 2011 season. Much like the Red Sox, they watched a nine game Wild Card lead get taken away by the St. Louis Cardinals with in a months time. But, unlike the Red Sox, their wasn't any clubhouse issues of beer, chicken and video games. It was simply bad baseball. The starting rotation will once again be a big part of keeping the Braves afloat in this division. Tim Hudson recently began tossing in the yard following surgery to repair a herniated disk in his back, something he'd been hoping to put off until his playing days were over. And the Braves aren't going to rush his return since they have a lot of good young pitchers. Jair Jurrjens may again find himself on the trading block as this year carries on. Tommy Hansen is becoming a very dominate pitcher. Finally, their is a lot of hope for Brandon Beachy in Braves camp. He is entering his third (second full) season with Atlanta. If Randall Delgado and Julio Teheran make the Opening Day roster, it will be part of the starting rotation; they will not be in the bullpen. Who hits where depends on the return of Prado, McCann, Uggla and Heyward to their usual form. But the 3-4-5 hitters should be Jones, McCann and Uggla in some order. Pastornicky, no matter how well he hits, will start at the bottom of the order because manager Fredi Gonzalez doesn't want to put any pressure on him as he takes over the shortstop position. Final Thoughts: As much as I'd like to see the Braves win this division and dethrone the continuous success of the Phillies, I don't see it happening this year. Chipper Jones (above) is becoming of age and will plan on retiring soon. Jason Heyward had a "sophmore year", so he needs to bounce back. And as I mentioned earlier with pitching, even with Hudson missing a start or two, the pitching staff will hold its own. This is a Wild Card team at best, though. The Washington Nationals are going to be an interesting team to watch this year, as the "When will Bryce Harper make his major league debut?" guessing game will surround the organization all year. Before my preview, my quick opinion on Harper: He's good. Very good at that. But, he's nineteen years old. He needs to develop the discipline needed to be a major leaguer, and he doesn't have that now and he's showed that this spring. (Bryce went 0-4 with 4 strikeouts in a game against the Tigers) Like it or not, Washington is handling Bryce Harper (below) the right way. The Nationals went out this offseason and really built up a great starting rotation. This is one of the best young rotations in baseball. Strasburg appears ready again after his Tommy John surgery and the acquisitions of Gonzalez and Jackson by GM Mike Rizzo were big moves. If Strasburg, Zimmermann and Wang can stay away from the injury problems that have bugged them, then the Nationals will have an outstanding young starting rotation. They'll be able to stay in most games just based on their pitching. Offensively, this team my struggle. Michael Morse should have another outstanding year if he isn't bugged by injury. Jayson Werth and Ryan Zimmerman need to step up and have great years, given the fact that they are the two highest paid players on the Nationals. The Nationals do not have a legitimate lead off hitter, which will effect their runs scored per game. Final Thoughts: The Nationals are on a rapid pace to be successful in this division. They have all the components. They just need to tie a few loose ends and become a consistent team. If they struggle offensively, expect the dreams of baseball fans in Washington and around the country to come true with the call up for Bryce Harper from the minor leagues. The New York Mets are rebuilding. Plain and simple. There is more then just on field issues with this team. 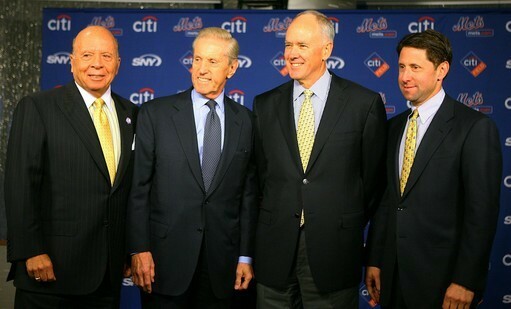 Off the field, the Mets owners reached a $162 million settlement with Irving Picard, the trustee for the victims of the Bernard Madoff Ponzi scheme. This is obviously a huge distraction not really for the players, but the focus of the Met's front office (below) on improving the New York Mets as far as competing is concerned. The Met's front office has more to worry about then just money scandals with their organization. The Mets hope that Santana will be ready for Opening Day and able to provide something similar to the 2.85 ERA he produced over his first three seasons in New York. But it will be weeks, perhaps even months, before the Mets have a better idea. The rest of the rotation is up in the air, although barring injury, Dickey, Niese, Pelfrey and Gee are guaranteed spots. Should one of them not produce well, Miguel Batista, Jeremy Hefner, Garrett Olson and Chris Schwinden will be next in line for starts. After losing Jose Reyes this offseason, how the lineup fares will depend largely upon what the Mets receive from Wright, Davis and Bay, all of whom have battled injuries or under-performed over the last two seasons. The Mets moved in Citi Field's outfield fences this winter, which should help the power numbers of the right-handed Wright and Bay. Final Thoughts: Ten years from now, they might have a good team. And that does it! Next week I will preview the National League Central and will have some predictions that might surprise you all. Thank you for reading, I hope everyone enjoys reading this. Please leave your thoughts on here or on the Twitter feed (@WISportsBlog) if you agree, disagree, or want to make a point. I look forward to reading your comments.